Do you need to lose some weight? Do you watch "The Biggest Loser" but don't want to lose your weight on national TV? Do you like Jillian Michaels' no nonsense approach to healthy living? Sounds like the Jillian Michaels diet is something for you to consider! Jillian Michaels has become a household name through her involvement with the hit TV show "The Biggest Loser" where she transforms morbidly obese people into fitness paragons. So it's not too surprising that she has packaged her experience into a diet and exercise program for those of us who didn't make it on the show. The Jillian Michaels diet is tailored to your specific situation. She believes that people fall into two groups. Fast oxidizers are people whose bodies work best on a diet rich in proteins and fats. Slow oxidizers are better off eating diets with more carbohydrates. How can you tell which camp is for you? Her website has a questionnaire that will tell you exactly that! Its quick, easy and guess-free. Jillian's diet is based on eating fewer calories than your body burns in a day. OK, so that's not an earth shattering breakthrough. Her contribution to diet science is a detailed exercise plan. This plan is customized to your situation, and builds on each week's accomplishments to continue to challenge you, build muscle and burn fat. You don't need a gym membership or a personal trainer to follow her exercise program. Just some time and some motivation. The Jillian Michaels diet is good for people who like to eat. Jillian herself loves to eat. It is only the power of her personal exercise regimen that she doesn't have a weight problem. Her published diet plan mimics her personal success. The Jillian diet has recipes for three meals a day, plus a snack and a treat. The menus are all based on ingredients that can be found at the local supermarket, so no exotic foods are required. She's a big fan of nuts and fish, so keep that in mind as you plan out your meals. And she insists on a diet plan that includes dark chocolate, so she's alright in my book! Everything that you need is available from her web site, based on a monthly membership. You get a personalized exercise plan, access to well over 100 recipes and a members-only forum where you can compare notes, share experiences and get support from other dieters. Will this diet work for you? The meal plans are easy and contain healthy calorie levels and complete nutrition. The weight loss really comes from the workout routines, not some magic combination of foods. If you are disciplined about your exercise program, you will lose weight. If you are willing to let it slide, you probably won't lose weight. Here's a thought: sign up for the program with a diet buddy from WannaBuddy.com and keep each other accountable! That way you can eat tasty food, lose weight and get back in shape! Hi, my name is Tamara and I’m a chronic dieter who loves to eat! I’m always hungry and need variety in my diet. I’m sorry, “Eat lean meats and vegetables ONLY” never worked for me. I need salty snacks and sweet desserts. Regardless of whatever diet I’m on (today its Weight Watchers) one thing has always been a problem – finding a variety of foods within my diet restrictions that TASTE GOOD. Sure, today there are many more products and even sections in the grocery store dedicated to food lifestyles such as gluten free, organic and diet foods. But let’s face it, 70% of the foods in those sections taste like cardboard! So I started making lists of food I was allowed to eat that tasted good. Over time, I developed one list for low carb, one for low calorie, one for low fat + high fiber, etc. The lists were compiled based on products I tried and recommendations from my friends who shared similar interests. Discover a wide variety of foods that taste good on any lifestyle. Rate foods that you've tried. Review foods – we want to know if you hate or love it and why? Submit and share foods with others that you've discovered along your journey. And the site isn’t just for people on a diet. Whether someone is gluten free because of Celiac Disease or Vegan because they support the ethical treatment of animals, Tastamonials is a fun and useful resource for all. 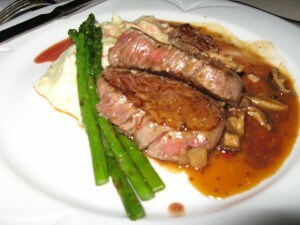 Check us out on Tastamonials.com and discover, rate and review diet foods galore! That old saying about "an apple a day" might just be true. 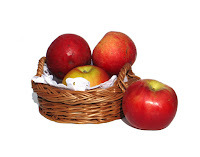 Eating apples can improve your health and reduce your weight. Wow! A diet that's healthful, easy and delicious, too! Here's what you should know. Apples are wonderful fruit. 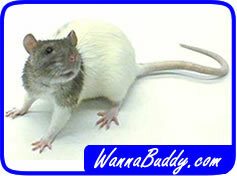 They are credited with reducing asthma in children, fighting cancer and slowing Alzheimer's disease. The soluble fiber in apples, called pectin, binds with LDL cholesterol so it can be eliminated and helps the body regulate blood sugar levels, a boon to diabetics. Although grocery stores carry a broad variety of apple varieties, their nutritive value doesn't vary significantly, so choose the apples that taste best! Just don't peel the apple before eating. Much of the nutritive value is actually in the apple's skin, so peeling is a real waste. The Apple Diet is pretty straight forward. Before each meal, you eat an apple. Yep, that's it. Just eat an apple before anything else at each meal. The theory is that eating an apple will make you feel full more quickly, which will let you eat less without feeling deprived. Does the Apple Diet work? Scientists at Pennsylvania State University took up that question. They studied three groups of people and their calorie consumption. One group had nothing special before they were given a meal. A second group received sliced apples (the equivalent of about 1 ½ apples) and the third group was given a similar amount of applesauce or apple juice. All three groups had their calorie intake measured. On average, the group receiving a before-meal apple ate 187 fewer calories than the group that did not receive any apple products. That's a nice reduction, given that the people in the study did not know that their calorie intake was being measured, so they ate until they were satisfied. The group that received applesauce or apple juice ate about the same amount as the group without any apples. The scientists speculate that the fiber in the apples made the diners feel full more quickly. Since apples have very few calories (45-75 calories), they replace food with much higher calorie content. Instant victory! Without feeling deprived, you have just reduced your calorie intake. Without counting calories or cooking up special meals, you can lose weight and improve your nutrition. Sounds like a pretty good deal! Are you a fan of the Apple Diet? Click on that Comment button and tell us about it! 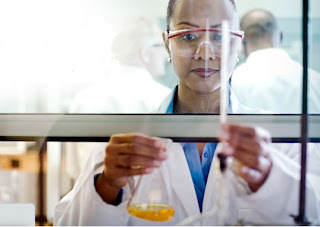 It seems that every few months we read about another breakthrough cancer cure. We see a picture of a group of solemn people in lab coats and statements about how their new medicine has delivered astonishing results "in a laboratory setting" that will take a year or so to become available to human cancer patients. So why are there so few of these miracle drugs actually in use? To everyone's surprise, it seems that much of the research can't be reproduced. How does this happen? Cancer continues to be a deadly scourge. Many millions of dollars are invested every year, researching new ways to battle this deadly disease. Hundreds of research results are published each year, reporting on laboratory results using mice, rats or monkeys, that could be extended into human research trials. But when these results (called "pre-clinical research") are used as the basis for human research, the outcomes are rarely encouraging. Developing a cancer treatment is expensive, both in terms of time and money. As a result, the drug companies depend on these lab results to select the most promising innovations for costly clinical trials. When the drug companies looked at why their success rates were so low, they took a fresh look at the pre-clinical research that was used as the basis for their drug development. In a commentary published in the March 2012 edition of the magazine Nature, Glenn Begley and Lee Ellis report that when Amgen selected 53 "landmark" pre-clinical studies, they were only able to reproduce the results of 6. That meant that 89% of these ground-breaking research projects did not deliver the promised results when the research was performed a second time. Bayer HealthCare conducted a similar double-check and found that only 25% of the research they checked could be reproduced. There is no allegation of improper conduct. No one is accused of lying or falsifying their results. However, this inability to reproduce the foundational research certainly explains why triumphant announcements from the lab rat researchers rarely translate into drugs administered in the cancer wards. Equally troubling is the certainty that cancer patients across the country are participating in clinical trials based on research that does not stand up to re-examination. They cannot expect to be cured. So what can be done? Clearly, the bar is set too low for pre-clinical research results. 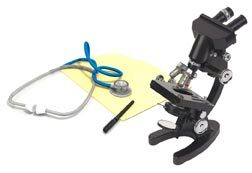 The rush to publication must be tempered by not only peer review but independent validation of results. Anything less is a terrible waste of millions of dollars and false hope for thousands of desperate cancer patients participating in clinical trials. Green tea has been a favorite beverage for thousands of years. More recently, medical studies have connected drinking green tea with preventing a broad range of diseases. Now green tea is getting attention as a weight loss aid. Here's what you should know. Green tea is the preferred beverage for millions of people. It has long been promoted for its positive impact on acne, glaucoma, cancer, leukemia and digestive issues. It is said to reduce the impact of ageing. On top of everything else, it can help you control your weight! Green tea is made from the leaves of the Cameliea Sinensis plant. These same leaves also make black and oolong teas. 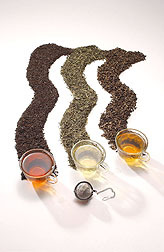 The teas differ in their treatment of the leaves after picking. A lot of medical attention has been paid to a component in green tea with the mouth-numbing name of epigallocatechin gallete, or EGCG. EGCG is a type of polyphenol, an antioxidant that can bind with free radicals (think damaged molecules) to prevent cellular damage. 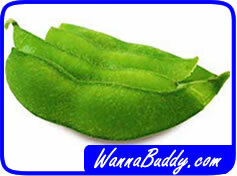 This antioxidant that is credited as responsible for most of the healthful aspects of green tea. But does EGCG promote weight loss? It turns out that EGCG, although wonderful for other benefits, plays no role in helping you lose weight. 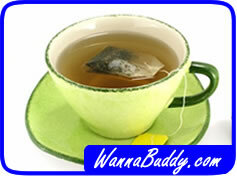 In fact, there is no medical evidence that green tea encourages weight loss in any way. So what is behind these claims? Green tea contains caffeine. It contains less caffeine than coffee, but there's still enough to give you a nice boost. It is this boost that can help you to lose weight. The caffeine jolt can help you to get off the couch and exercising. It also raises your metabolism, causing you to burn more calories, even from the couch. Is the green tea diet for everyone? The caffeine can give you the jitters and accentuate anxiety disorders. If you have kidney, heart or stomach issues, a green tea regimen is probably not for you. But if you don't have these concerns, green tea has so many other health benefits, why not give it a try? Proof has arrived that nearly anything can be turned into a diet. The Special K diet is all the proof we need. Kellogg's Special K is now promoted as a weight loss program! Woo Hoo! Breakfast for lunch! Kellogg's says that you can lose an inch from your waist in two weeks. Here are the details. The Special K diet isn't a code name for some new designer drug. It is actually Kellogg's cereal, called Special K. By eating Special K cereal and associated products for breakfast and lunch, you can lose weight. So, here's the plan. 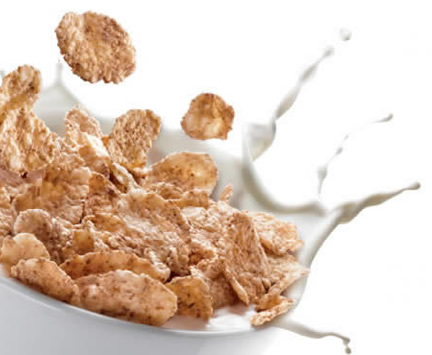 You eat a bowl of Special K for breakfast, along with skim milk and a bit of fruit. Call that 250 calories. For lunch you can have a Special K snack bar and an apple, or another bowl of cereal. Another 250 calories. Add in a mid-afternoon snack of (you're reading ahead, aren't you?) a Special K snack bar and you go into dinner time with only 600 calories eaten all day. Dinner is your chance to really shake things up! You don't have to eat anything made out of Special K. You should chose foods that are low in fat, high in fiber and well balanced nutritionally. Say, 600 calories or so. That means that you've made it through your day at 1,200 calories. This is right in line with the government's recommended minimum calorie intake, so it's pretty safe. Will you lose weight? If you follow this plan you will probably lose 1-2 pounds a week, again in line with the government's guidelines. Since the Special K cereal and snack bars are pretty low in fiber, you are going to be hungry a lot. Really, you're going to be hungry. For those glycemic index fans out there, you should know that the Special K cereal and snack bars digest very quickly, so you will get a burst of glucose. This triggers a spike in insulin secretion and will leave you feeling pretty empty and listless a few hours later. Why is the Special K diet so popular? It certainly is easy to understand and follow. Just search out that pretty letter K and you're all set at the supermarket. You don't need to count calories at breakfast and lunch, since the Special K products are all low-cal and it is REALLY hard to eat too much. Plus, eating anything for breakfast (rather than skipping) is a good thing. It kick-starts your metabolism and gets your body burning calories right away. On the other hand, eating Special K two or three times a day, every day, can get old pretty fast. This is not a life-long diet plan. You are depending on dinner to provide pretty much all of your nutrition, so pay very close attention to serving up a balanced meal. If you need to drop a few pounds before that beach vacation, the Special K diet may be perfect for you. The plan is simple and can actually work, without hurting your body. If you are looking for a long-term lifestyle change, there are better alternatives. Once in a while, a diet comes along that is so clear and straight forward that it begs investigation. That is the case for Dr. Gott's new No Flour, No Sugar Diet. 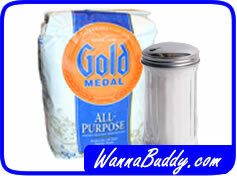 His diet is based on, get this, eating no sugar and no flour. Yes, that's it. By avoiding these two basic ingredients Dr. Gott believes that weight loss will be a natural outcome. The No Sugar Diet (I guess that flour didn’t have a very good publicist) involves reading a lot of ingredient labels. Dr. Gott considers flour and sugar to be "empty calories." 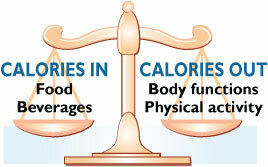 That means that they deliver calories devoid of other nutritional benefit. The doctor is especially concerned about eating processed sugar. He points to the rapid digestion of sugar and the spike in insulin production that it causes. 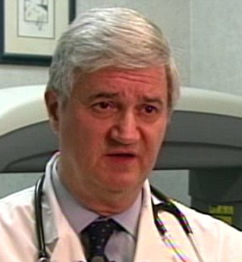 He believes that this strains the pancreas (where insulin is secreted) and can damage your immune system. He also references medical studies that tie processed sugar to cancer and diminished learning in your children. Of interest to our post-elementary school readers, Dr. Gott also points out that processed sugar also affects our ageing. The theory is that the sugar molecule connects with the collagen our our skin, leading to wrinkles and sagging. Following the No Sugar Diet isn't difficult, especially if you can read the tiny print used in ingredient labels. Meat, dairy, fruits, vegetables, nuts and brown rice are all fair game. The naughty list includes sugar, flour, most sodas, honey, alcohol, fruit juices, molasses, raisins, pineapples, beets (the source of much of our processed sugar) and cereals. The diet is much easier for those of us who prepare most of our own meals from scratch. A plate of meat, potatoes and veggie can easily be prepared without sugar or flour. The diet gets a lot harder when you eat out or use prepared foods. High fructose corn syrup (on the naughty list) is in an amazing variety of products. Flour is found in nearly all prepared soups. So, set aside some extra time for grocery shopping for the first few weeks of the diet. Once your new eating plan is in place, Dr. Gott predicts a slow but steady weight loss. Without the empty calories from sugar and flour, it is easy to see two pounds a week melt away. This is a safe and sane approach to weight loss in the eyes of the government, too. This is also a diet that you can follow for a lifetime. That avoids the rebound effect that plagues many diets, where the dieter regains all the lost weight once their draconian diet over. Can you live without sugar or flour? Dr. Gott tells us that this is exactly the path to better health! For many of us, soy is associated with those gray, meatless dishes that we avoid at the buffet. There is a whole lot more to soy than serving as a tool to control the buffet owner's ingredient budget. It turns out that soy can be a positive and delicious part of everyone's diet. Soy comes from soybeans, which are abundantly grown throughout the United States. Our most common use of soy is as tofu. 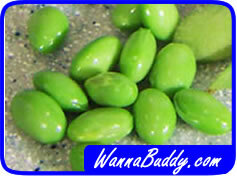 Edamame is just a fancy name for immature soybeans left whole. Tofu is made by cooking water-soaked soybeans until it becomes a liquid (sold as soy milk) and adding a coagulant. Depending on the amount coagulant used, the tofu's texture can range from pudding texture to quite solid. Soybeans can be allowed to ferment and crushed into a paste that is called miso (of miso soup fame) or firmed up a bit and called tempeh for use instead of cold cuts. Alternatively, the beans can be roasted and sold as a snack. Quite a flexible little bean! Any avid reader of food labels has seen soy in the ingredient list for everything from mayonnaise to oven-ready turkeys. Because of its prevalence in American agriculture, soybeans are VERY inexpensive. That makes them an ideal filler material to stretch those expensive ingredients that get top billing on the front of the label. Just ask anyone who is allergic to soy and they can talk for hours about the challenge of eating soy-free in America. But why do we care about the soybean? Cost can be a reason to take another look. Since soybeans grow so well here, soy products are quite inexpensive. Family food budgets are stretched thin, so adding soy to the menu can free up some cash for a trip down the ice cream isle. Soy is also a great source of protein. Soy is sometimes called the perfect protein for vegetarians. That is because it contains many of the nutrients that would otherwise be lacking in a diet without meat. Soy also contains a lot of fiber, which is good for you and it helps you to feel full. You get good nutrition without the saturated fat and cholesterol of meat, and you push back from the table more quickly because you feel satisfied. A very nice "two-fer" from the hard working soybean. So how can you ease yourself into enjoying more soy? The roasted soybeans are available with a broad variety of seasonings, so serving them as a salty snack is a great introduction. The soft tofu can become part of your sauce as a thickener. Yes, you can put a tofu sauce over meat without starting a food riot! Feeling daring? Drop some cubes of firmer tofu into the salad, and see if anyone notices! You could be on the road to enjoying the hardest working bean in America. 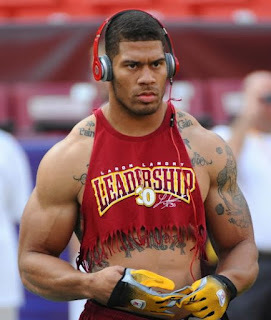 LaRon Landry plays defensive back for the National Football League. A combination of speed, strength and endurance, he is considered one of the most amazing physical specimens in the league. So it's no surprise that his workout techniques have attracted some attention. Professional football is an incredibly demanding sport. Tens of thousands of college athletes dream of earning a spot on an NFL team, but mere hundreds ever achieve that goal. Genetics and natural ability play a large role in who makes it to the big time, but physical training is key, especially in the demanding defensive positions. Landry's commitment to physical training became legendary during his college years at LSU. Even then, he could bench press more than twice his body weight. 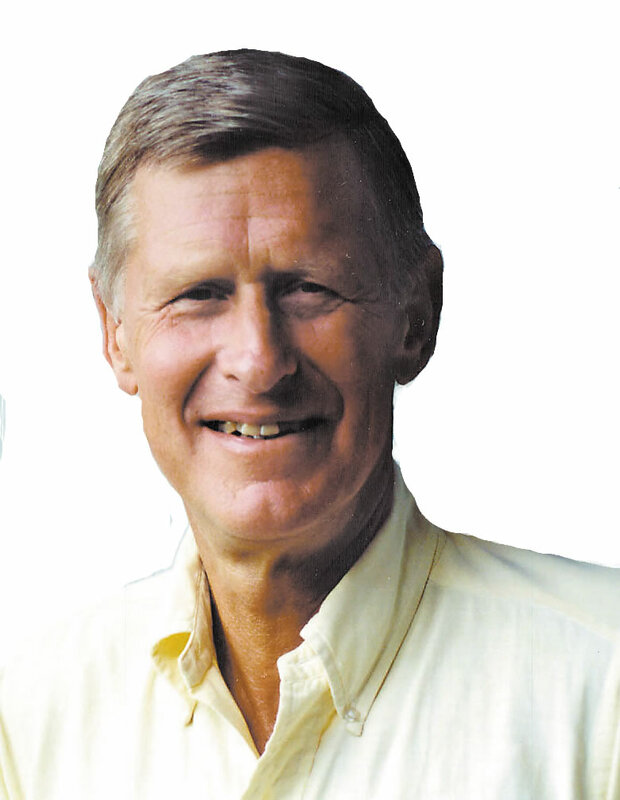 During those formative years he developed a unique blend of exercises that built strength and bulk while maintaining flexibility and preserving his impressive running speed. Landry focuses on avoiding muscular adaptation. Muscular adaptation happens when repetitive movements train muscle groups to optimize for that one specific movement. With football, no single movement is central to success, so avoiding this adaptation means that the muscle groups build in a harmonious and balanced manner. To avoid adaptation, Landry changes everything about his workout daily. He changes the actual exercises and the number of sets and the number of reps for each exercise. 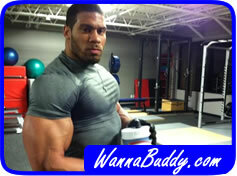 Landry uses a combination of free weights, weight machines and free exercises. He even adds weights to his body when doing chin ups. His routines combine muscle building elements (lifting extreme weights with very few repetitions) with endurance-oriented anaerobic exercises and good, old fashioned cardio routines. When the team is on the road, LaRon packs resistance bands in his suitcase so that he can exercise late at night and early each morning. He is known for ordering a late-night steak dinner and then spending the following hour working out, even on nights before a big game. He says that this pre-game exercise ritual makes him "feel like He-Man" and give him the confidence to make the aggressive plays that are his trademark.